According to the Harvard Business School, increasing customer retention rates by 5 percent increases profits by 25 percent to 95 percent (source). This is important to consider when evaluating your own customer loyalty strategies because in the customer service echo-chamber there is a lot of “hoo rah” about taking care of customers, but little discussion on the business side of things. 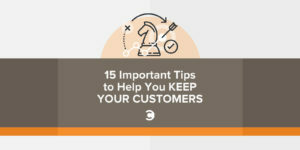 In order to help you increase your own retention rates, we’ve compiled a list of our 15 favorite tips (backed by academic research and case studies) on increasing customer loyalty, divided into five easy-to-browse sections: Communication, Selling, Reciprocity, Support, and Loyalty Programs. 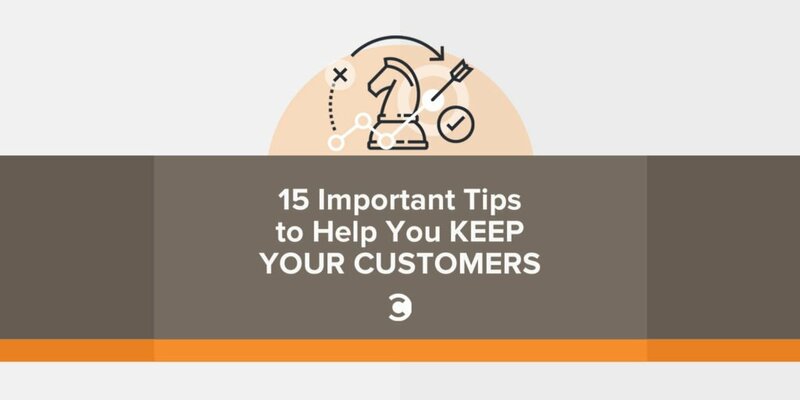 It’s hard to create loyal customers if they aren’t paying attention to you. Given this fact, below are our favorite bits of research on clear communication with customers. The quickest way to get customers to ignore you is to not stand for anything. A study by the Corporate Executive Board that included 7,000 consumers from across the U.S. found that of those consumers who said they had a strong relationship with a brand, 64 percent cited shared values as the primary reason. If you want loyal customers, you need them to care about you. Not all words are created equal. Certain persuasive words encourage customers to buy more than others, in particular: free, new, and instantly. When customers hear these words (and the promises they imply are backed up), they’ll enjoy their purchases more than they would have otherwise. All businesses, no matter the industry, are going to have to sell to the three types of buyers that are out there. According to neuroeconomics experts, nearly a quarter of these buyers will be conservative spenders, or “tightwad” customers. George Lowenstein of Carnegie Mellon University recommends using bundles, reassuring words (e.g., change “a $5 fee” to “a small $5 fee”), and reframing as strategies to better sell to these conservative buyers. Read more about his advice here. Reciprocity is the social construct that makes the world go ’round… or in your case, keeps your customers coming back. The premise is simple: Go above and beyond for customers and get rewarded with repeat business. The execution, however, can be trickier, so below is a compilation of interesting research on how to improve reciprocity with your customers. This one is a no-brainer: You can’t create a tribe of loyal customers without an exceptional customer service experience that keeps them coming back. In this section, we’re going to bust a few customer service myths wide open, as well as tackle some important things you need to keep in mind when offering support online. Additional research by Nunes on loyalty programs has shown that people just love being VIPs or gold members of programs. There is one caveat, though: This only works when people know there is a class below them on the totem pole. Speaking to human nature, Nunes saw a notable increase in gold members’ participation as soon as he implemented a lesser silver class. What are some other customer retention strategies that you use and would recommend? Editor’s Note: A version of this article originally appeared on HelpScout.net.